The Village to Village Steering Committee wants to hear from you! Please join us on Saturday, October 27th to “Reimagine the Danville Railroad Station”. In its glory days, this area was a major activity center for the Town of Danville and given its location along the Rail Trail this historic building has the potential to become a major stopping point and gateway into the Village once again. The Steering Committee is hoping to explore ways to re-purpose this space in a way that fits the needs and desires of the community. What is the best use for the building? What role do you see the Railroad Station playing in the community? What do you envision here? Note that parking is limited at the Train Station. The Danville Health Center has generously invited folks to use their parking lot during the event. Thanks in advance. 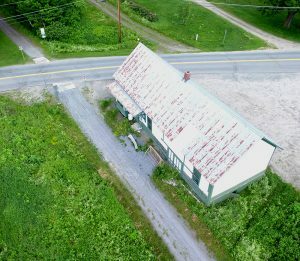 With funds from the Better Connections Grant, Vermont Integrated Architecture will be drafting sketches of architectural improvements to the building and the ideas gathered from community members will help to inform this process. 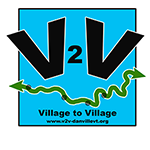 The Danville Village to Village Project seeks to improve safety for those who use the trail through better connections, and to make the Danville segment of the LVRT one of the most exciting opportunities for outdoor activity in the state.